A very innovative and stylish modification to the word "detox", Dytok is a business name and custom-made especially for companies medicine, health, agriculture or beauty industry. Grab it now to be familiar and unique at the same time! A complete reformation of the word "brag" has led to this quirky and creative business name totally relatable with any business from engineering to construction to production and so on. An attractive name for a company worth bragging! Smart combination of the word "jack" and "task" made a very trendy and cool business name. It is perfect for a tech based engineering, construction or production company. This brand name will surely remain stuck in your customer's mind forever! Bernerz evokes the word "burner". This unique brand name is meant for businesses with the spark of winning the industry. It works well with security, services, marketing, medical, or food company. An attractive name to surely blast the industry! 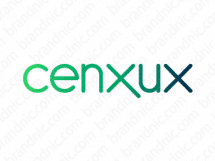 Cenxux is derived from the ingenious revamping of the word "census", it connects invariably with a political campaign, media or services or community company. Its ability to excel in the industry is unchallengeable! Egbor is a very exotic and elegant brand name which is ideal for a business with highly enthusiastic environment. This business name connects efficiently with a software, production, sports or technology firm. Perfectly unites style and affordability at one place! A very striking combination of "pretty" and "beautiful" made a very unique business name, which will with its fascinating appeal capture your customers forever. A brand name to fit Fashion, Medical, Health or Media company. A brand worth owning! Built around "azan"- Islamic call for prayer, Uzann has a very exotic feel and would be a cool brand name for the community, education, sports, technology or travel business. A very soft and clear pronunciation makes it swiftly memorable. Reminiscent of the word "election", Elaxon is a very cool business name for a news agency, an educational institute, marketing or finance company. This unique brand name will definitely be the first choice of everyone. A minor but precise modification to the word "application", applicaxon is a unique and trendy brand name with high versatility. It will speak perfectly for finance, education, services, software or a marketing company! Consisting of one of the top buzzwords online as well as offline - "tech", accompanied by "cases" makes it a catchy brand name for modern companies. It fits into services, technology, consulting and software business like a glove. This brand name will intrigue your customers to visit again. Awarey is a very expressive and notable business name derived from a highly used word "agree". It is meant for insurance, news, services or security companies. High familiarity with this brand name gives you the ability to attract a wider audience! Arrangey is a distinct brand name obtained from "arrange", ultimate for financial, insurance, organisation or travel firms. Especially for companies looking for a smart and trendy business name capable of sticking to their customer's mind! Pretty evidently agreey is a revamped up version of "agree". This brand name is for highly eminent businesses in food, technology, marketing or insurance industry. An opportunity to grab a highly familiar and memorable business name to attain and retain your customers. Derived from the root word "am" which means love, Amlig makes a catchy brand name for a company conveying the sense of trust and care to their customers. An attractive name for social media, dating, finance or organization firm. A modified version of the word engage, Angig is perfect for companies with a lot of human interaction. Hence making it the most appropriate and a cool business name for an education, marketing, organization or any other business. Your customers will love it. Invented from the word "rural", Ryril is a very compact and catchy brand name for companies related to rural areas in one or the other way. It connects with education, finance, community and news company. Reminiscent of "dunno" which is a contraction of 'do not know', Dunaw is an extremely modern business brand name for education, finance or tech business where solutions are provided naive clients/customers. A business name to grab now! Derived from "ok" and "packs", Okpax is a groovy and modern business name. A perfect catchy name for a company into the internet, technology, production or logistics business. A brand name with sharp and attractive sound is extremely memorable and meant to leave a positive impact on your potential customers. A highly modern and stylish name immediately evoking the word "wake", Veyke is a versatile brand name made to stick to individual's mind. This business name can link with beauty, health, marketing, and production business. Vagyn is reminiscent of the word "vegan", an ideal business name for companies for food, community, beauty or medicine related company. A brand name to leave an everlasting impact on the very first glance! Ruhir is a very unique and trendy brand name which has the ability to uplift the repute and customer base of the company. A name that befits all the sectors but more to fashion, beauty and dating particularly. Ruvay instantly recalls the word "runway', its familiar look and lyrical nature makes it easy to memorize. A creative business name made for companies dealing with construction, health, media or employment. Reminiscent of the word "devote", Dwore is a fictitious name which is easily memorized. It is for companies with highly competent nature and ability. A business name made for communication, education or media business. A brand to stay forever! Dkept is a compact name tailored from "kept" expressing the ability to captivate the customers forever. A brandable business name for technology, medicine, marketing or a news company representing highly skilled individuals. Easy to remember and market.